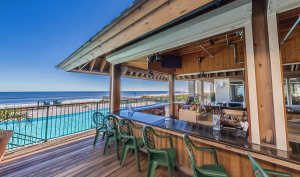 Summertime is HOT in Ocean Isle Beach, The Isles Restaurant & Tiki Bar has your solution. Join us at our outdoor ocean front Tiki Bar! Every Tuesday, starting June 19th, we will be running all day drink specials along with a limited Tiki Bar menu!